Our rates are 2x experience, 1x meso, 1x drop and 3x quest experience. 2x EXP/DROP cards have been purposefully been made unavailable. How much content is working? We have a topic listing some of our features here. Some of our notable features include mini-games such as Match Cards and Omok, Cash Shop Storage, all merchanting features such as Hired Merchants and Owl of Minerva, all pet-related features, every quest working, every skill working, along with completely GMS-content such as job advancements and transportation. What kind of server is MapleLegends? 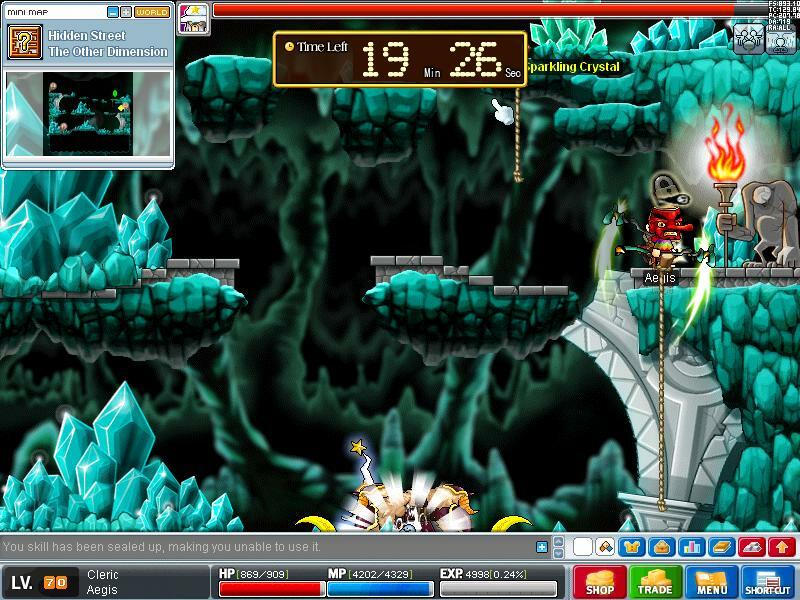 The goal of MapleLegends is to provide you with the most nostalgic and functional v0.62 MapleStory playing experience to date. 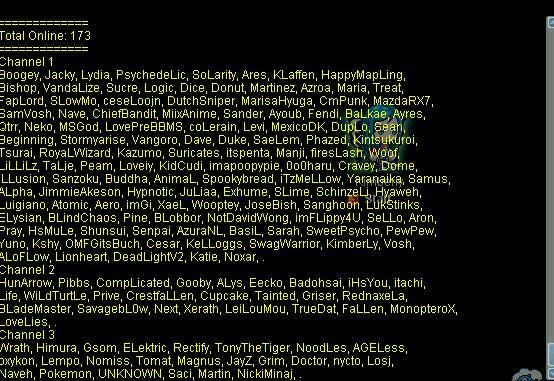 As a staff, we host, run and develop this server with all of you in mind, since your happiness is our top priority. For more information about what our goal as a staff is, please go here. *If you've got any questions about server, please reply in this thread or Private Message "Kimberly" at the MapleLegends forums. I am open for questions about the server. Last edited by Kimberly; 22-10-17 at 09:47 PM. We are still growing everyday. We now have 140+ users online during the week, 180+ users online during the weekend at peak, 70+ users during night. Seeing we have protection against Sandboxie, consider most of them being unique users. Also, today we have broke our GTOP vote record of 582 votes in a single day. We have plans to upgrade our server soon, so people from oversea and US have much less ping, so the server will be very smooth and even more stable. Summer is coming. Check out MapleLegends and who knows its the server you want to stay at during the summer holidays. Exams are ending soon as well, so the server will only grow more. Last edited by Kimberly; 13-05-15 at 12:30 PM. Donations are now up and people can donate for the "DONOR" tab items in Cash Shop. MapleLegends has NO benefits for donators and every user still has same priority. All the donation items are cosmetic only and there are no donator commands. Not even 2 months old yet and we have reached 200 users online! Searching for a hard GMS-like server? Here's your chance! New record broken tonight, we are still growing! Join now and experience the best v0.62 experience yet! We have also added multi-language sections on our forums to welcome everyone from all around the world. Community video is up, so you can have a preview of the server. We have bought a dedicated server which will be located in New York. For those that ever had delay issues, it will be resolved for good soon. Ring effects (Crush, Friend, Marriage) are fully working now, meaning you don't have to re-equip or re-enter maps in order for them to show up. To keep users visiting this place and our server up to date, we now keep a monthly revisit on things we've fixed on the month. We have fixed the following in the month May. Be note this includes fixes and not actual new features. If you want to learn about all our updates, please click here. -Fixed a bug with Omok Set creation requiring the incorrect items. -Fixed a bug with forging with Pi causing disconnections. -Fixed a bug with characters getting stuck when trying to open Hired Merchants. -Fixed a bug where Ludibrium PQ passes get stuck in walls. -Patched memory leaks for improved server stability and performance. -Fixed a quest exploit giving unlimited EXP. -Fixed a bug where EXP can be gained while in Cash Shop. -Fixed a bug with Leprechaun mesos. -Fixed a bug related to full inventories and Ludibrium PQ reward. -Fixed a bug where the complete quest aura would show even if the quest did not complete. -Fixed a bug where game moderators could be found using /find. -Fixed a bug where Maple Messenger could be used to check if game moderators were online. -Improved View All Characters functionality so it loads immediately. 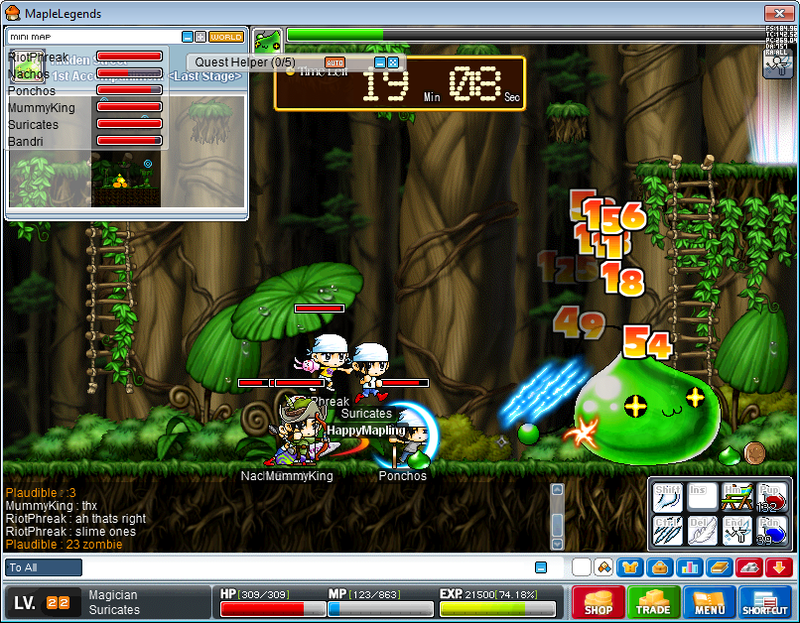 -Fixed a bug with Meso Magnet so it can only explode the user's mesos. -Fixed a bug with Donor pets having an expiration date. -Fixed a bug with character deletion not working despite a correct date being inserted. -Fixed a bug where pets disappear on changing channels. -Fixed a bug where Phantom Forest gates warped to the incorrect location. -Fixed a bug related to guilds at login causing inventory bugs. Last edited by Kimberly; 03-07-15 at 09:56 AM. -Fixed a bug related to channel changing causing lots of issues. -Fixed a bug with mobs not displaying poisoned effect in poison mist. -Tweaked autoban to trigger on fewer false positives for fast attack and faraway attack. -Fixed a bug with item stacking. -Fixed a bug with trades causing items to be lost. -Fixed a bug with reactors not triggering if an item was dropped before states changed. -Fixed a bug with mapowner not working properly. -Improved auto-DC system so players are not stuck as often. -Fixed a bug where it was possible to smuggle in certain party quests. -Fixed a bug with Ifrit/Elquines quest which did not allow two Arch Mages to enter. -Fixed a bug with pets causing disconnections. 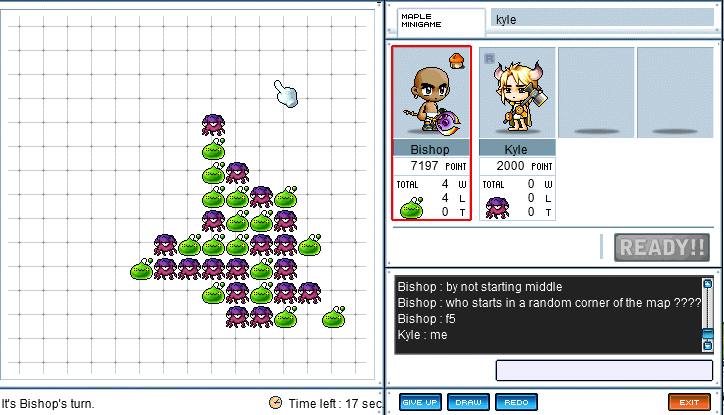 -Fixed a bug with incorrect EXP being given by certain monsters. 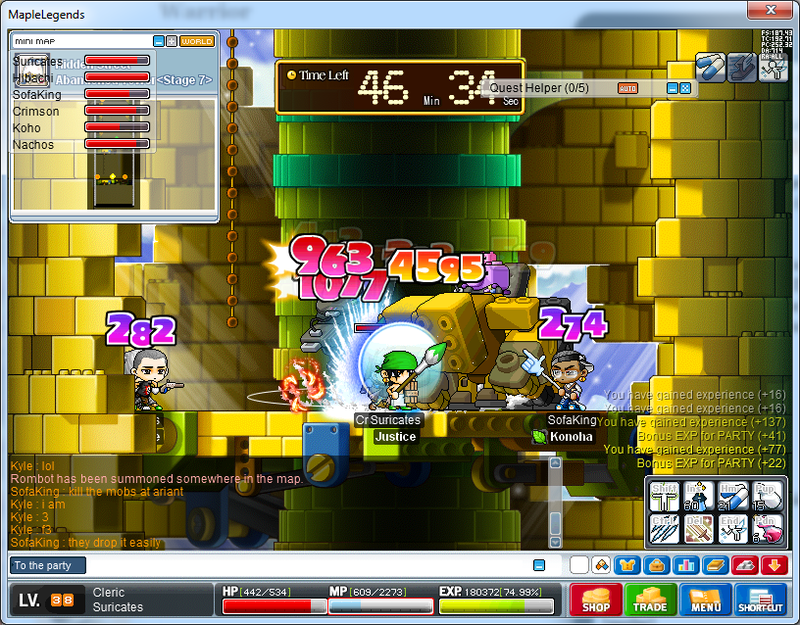 -Fixed a bug with pets picking up mesos dropped by a player. -Fixed a bug related to pets causing issues after being transferred in Cash Shop. -Fixed a bug with meso guard not guarding 1/1 attacks. -Added item forging for pirate equips to crafting NPCs. -Fixed a bug with quests not starting if a required item is equipped. -Fixed a bug with skills remaining active indefinitely. -Changed Zakum Diamonds to make them stackable similar to other iTCG boss drops. -Fixed a bug with pet animations doubling up. -Fixed a bug with mounts being displayed as battleships in third person. -Fixed a bug with characters being potentially deleted by accident. -Fixed a bug with skills being removed when entering Cash Shop. -Fixed a bug with ring effects not being displayed properly. -Fixed a bug with warping via mystic door moving players to incorrect positions. MapleLegends is going to get a big server upgrade this Thursday. If you ever tried the server before and had delay issues, I recommend trying it again after so. Click here for the maintenance info. Also, we are currently having Independence day event going on. More info about that event here. Upgrade complete. MapleLegends now run on 32 GB Dedi, so you should experience much less lag and delays, but would still depend on your location how much it got improved.